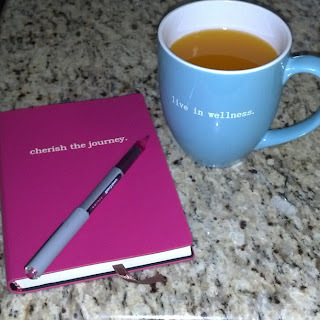 I had never heard of The Universe Knows until a few of my blogging friends started posting adorable pictures on instagram of their coffee mugs, hoodies, and journals. I HAD to have one! My hoodie is my absolute favorite! 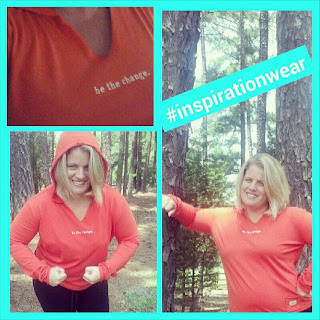 I love the bright orange color and "Be the Change" is a great saying to go along with my life. I am trying to be the change in my career, my fitness and my blogging. It was like the Universe Knew :) And I kind of think it did. I love everything about this company. The founder of this company, Ron Dinehart was an engineer for 13 years and one day, he decided to make a shirt with "The Universe Knows" imprinted on it. And with that, this company was formed! the universe knows will be your support group. we will provide you with the encouragement you need to awaken your passion. we will not judge you. we will cheer you on to live your dreams. we will be your number one fan. for that, we ask only that you bring an open heart and a willingness to change. after all, you wouldn't already be here if you weren't ready. so take the journey with us and be one of the souls to tell us how you did it. your message will help others to live their dreams. we will not stop until the whole universe is in tandem and every soul on earth is living it's dream. dare to dream. follow your heart. the rewards are worth the risk. this, the universe knows. I am a big fan of a company who doesn't just want your money... they want to be a part of your journey. Well, this journey, Mindy's Fitness Journey, is glad to make them a part of my journey! I need all the support I can get! I am trying to figure out which hoodie I am going to buy next. They fit so nicely and wash up perfectly! Which hoodie would you choose and why? My next hoodie will be the teal blue with "Cherish the Journey" on it because this is the journey I have and I am in control! Disclaimer: The Universe Knows provided product for me to review. All opinions are my own. I love the message "cherish the journey" - so simple yet so powerful! I agree! It's my favorite! I would probably get the "quiet your mind" one. Just as a reminder. =) Love them all though! Me too!!! They are so awesome! LOVE LOVE LOVE their products!!! I love my Cherish the Journey & my hoodie says Find your Balance!!! Ohhh..... I love that!!! Good one! I am all about progress and not perfection so I would go for cherish the journey too and blues and purples are my favorite colors. Me too! Love all the color those! Thanks for the post. I had never heard of The Universe Knows, but they certainly are the kind of company worth supporting - I think I'll be ordering soon. Yay! Yes I love them! Great stuff too! :) It makes me wish I drank coffee, but my water is yummy in it too! I will definitely have it on my desk at school. I love their mugs! Love the live with passion mug and the welcome your angels mug. Very cool company!